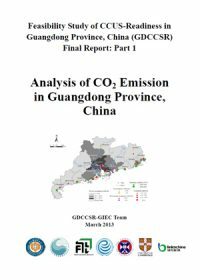 The Chinese Government emphasises the need to utilise captured CO2 as a resource and promotes CCUS. Because the utilisation of CO2 can partly offset the cost of CCUS, it is considered a priority for developing CCUS, and it is particularly important for developing countries. 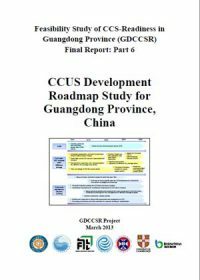 In order to study the prospect and roadmap of developing CCUS in Guangdong Province, the project “Feasibility Study of Developing CCS-Readiness in Guangdong Province” (GDCCSR）was conducted from April 2010 to March 2013. The project was implemented by seven institutions in China and UK (the South China Sea Institute of Oceanology of Chinese Academy of Sciences (CAS), the Energy Research Institute of the National Development and Reform Commission, the Guangzhou Institute of Energy Conversion of CAS, the Wuhan Institute of Rock and Soil Mechanics of CAS, Shenzhen Linkschina Ltd., the University of Edinburgh, and the University of Cambridge) and funded by the UK Government Foreign & Commonwealth Office and Global Carbon Capture and Storage Institute (GCCSI). This report is the key deliverable of the GDCCSR project.